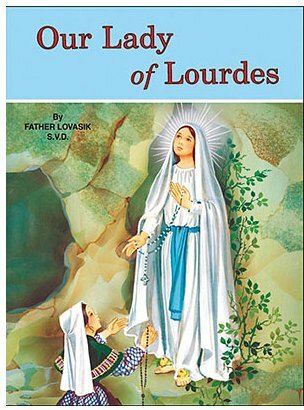 CATHOLIC GIFT SHOP LTD - Our Lady of Lourdes Children's Book By Father Lovasik S.V.D. Our Lady of Lourdes Children's Book By Father Lovasik S.V.D. Children's book telling the story of Our Lady of Lourdes and the apparitions by Father Lovasik S.V.D. 32 page paperback measuring 5 1/2" x 7 1/2"